Homeowners have been reassured their insurance should cover any damage caused by the extreme winter weather – but only if their property was in good condition in the first place. Anthony Hughes, said the predicted snowfall and ice for the coming days could mean many properties would be at risk. 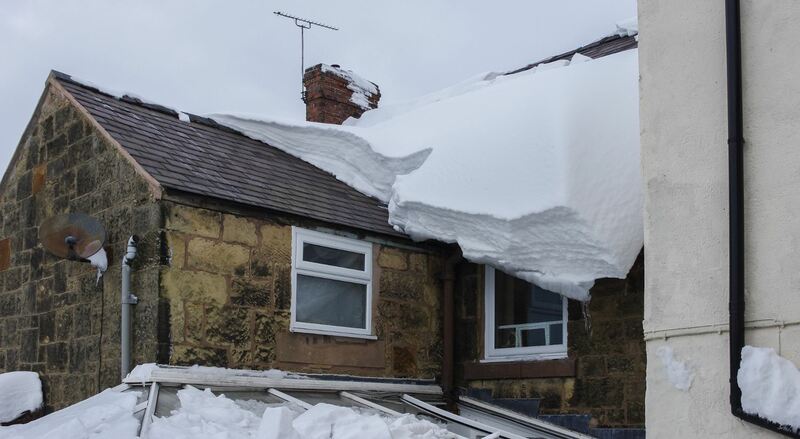 “Last year when the UK was hit by the Beast from the East no fewer than three times, there was a huge increase in home insurance claims to cover storm and weather damage. But Mr Hughes said the good news was that most home insurance policies should cover damage caused by a storm or extreme winter weather. “In some cases though, insurers may refuse to pay out for a weather-related claim if they find you haven’t maintained your home to a high enough standard. Mr Hughes urged homeowners to take notice of the warnings from the Met Office and take steps to protect their homes in advance. “Make sure you set your heating thermostat to the minimum temperature specified in your home insurance policy when the cold weather bites – this is usually 12 degrees C, but may vary depending on your provider. He said homeowners should also make sure any exposed pipes in and around their home were well insulated – particularly in basements, attics, lofts, garages, in kitchen cupboards, or on the outside of the property.